Moores Law gives us an expectation that the computing power in our consoles, PC's and mobile devices will double every couple of years or so. Naturally game developers want to use all that power to give us the best possible game experience- so they use that new memory to the best of their ability. Unfortunately, networks don't get faster at Moores Law, for example the UK's average internet speed has taken around 6 years to double. 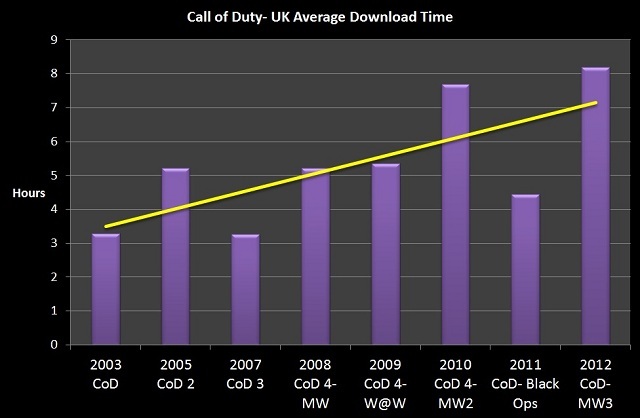 Whilst there's a bit of jumping up-and-down here- there certainly isn't a trend to shorter download times here! How long will my game take to download? 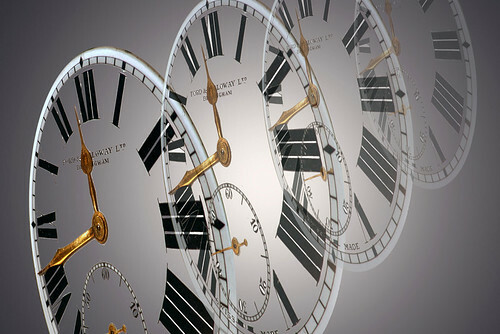 Every time we want to download a game from most of the online sites we face an unknown time before it will be ready. Many sites hide the size of a game until you have committed to the purchase, and so we have to google the size first. Console quality graphics on tablets? I There's lots of speculation over whether tablets and mobile devices can replace consoles.Whilst that may prove to be part of the story, we've been thinking about how that could arise. One neglected part of the story, masked by the announcements of upcoming graphics processors (GPU's) for mobile devices, is that there are physical constraints associated with a device being handheld and battery powered when it comes to the performance of the GPU. In particular in a console or desktop power is cheap and there is space for cooling fans. The result is that fixed gaming GPU's consume 50W-500W+. Above (courtesy of TechRepublic's excellent teardown) is a recent XBOX 360 cooling arrangement- note the big piece of aluminium and the fan to take away all that power. So, not surprisingly this doesn't fit into a svelte tablet or that it would flatten the battery in minutes. In practice, my belief is that a tablet can afford to dissipate a maximum of 5W, or about 1/20th of what a console can afford. (The whole Ipad 3 consumes about 7.3W peak). Professor Moore provided us with a "law" of thinking about how power consumption changes over time as semiconductors develop which has proved reliable over decades. Roughly, consumption halves every 2 years. So, that means that at 1/20th of the allowable power dissipation, tablets will be 4.3 iterations of Moore's law behind what console technology can do at any one time. That equates at historical rates that have been consistent since the 80's at around 8.5 years. Therefore we should not be surprised that today's latest tablets, launching 7 years after the XBOX 360, would be fairly close on graphical performance. However the industry is not standing still. The next generation consoles are likely to have graphics of a much higher quality- exemplified beautifully like this: https://www.youtube.com/watch?v=UVX0OUO9ptU. These wont be able to be rendered on portable devices for perhaps another 7 years. The exception to this is if the rendering is done on the server and streamed to the players over the internet in the style of OnLive, GaiKai and their ilk, but the challenges there are significant too... I will talk about that in a future post. 2. Users pick convenience and portability over graphical performance and choose not to move to the new generation of hardware. My view is that we'll find that both platforms co-exist, and that the most graphically-intense experience will be limited to consoles and PC's for foreseeable future. Do gamers have faster internet connections? There's a body of opinion that live HD video streaming over the internet is the solution to the game industry's pressures. We took a look to see how that option lies on today's connections. 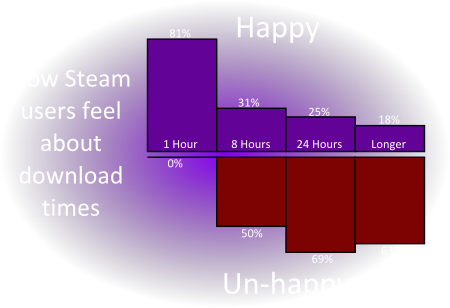 We compared the speeds reported by Akamai's "State of the Internet" report with Steam's dashboard. Our conclusion would be that there are few significant differences. Most importantly, however you measure it, ~75% of internet connections are sub 5M bps. 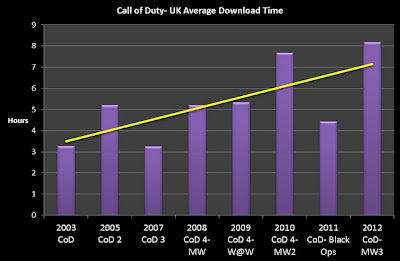 That's harsh news for those who think video streaming is the answer for HD gaming.